We eat a lot of cherry tomatoes because they are convenient for our lunch boxes. 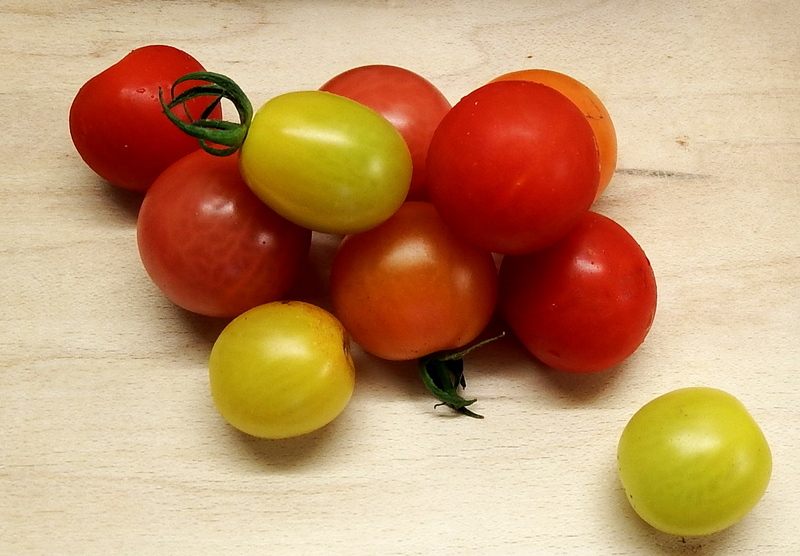 So I had planted a mix of tomato seeds called “Rainbow Tomatoes” – yellow, orange, pink, and red baby plum and cherry tomatoes which look amazing in salads. So these weren’t the type I’d normally make chutney with, but I had a glut of them to use up so thought it was worth a try! 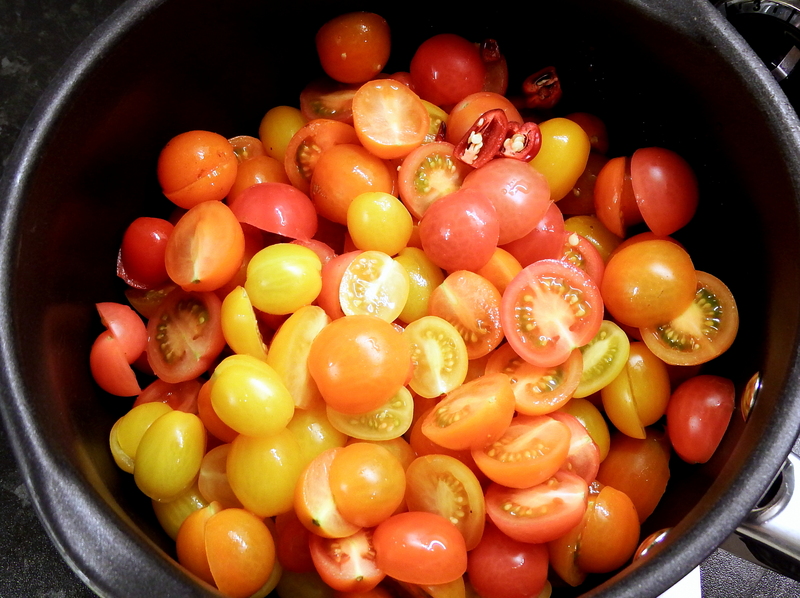 You can substitute your preferred variety of tomato or even used canned tomatoes if you like. The chilli plants had also been being pretty productive whilst we were away so I added a few of them in for a bit of a kick – but they’re optional if you aren’t so into hot things! 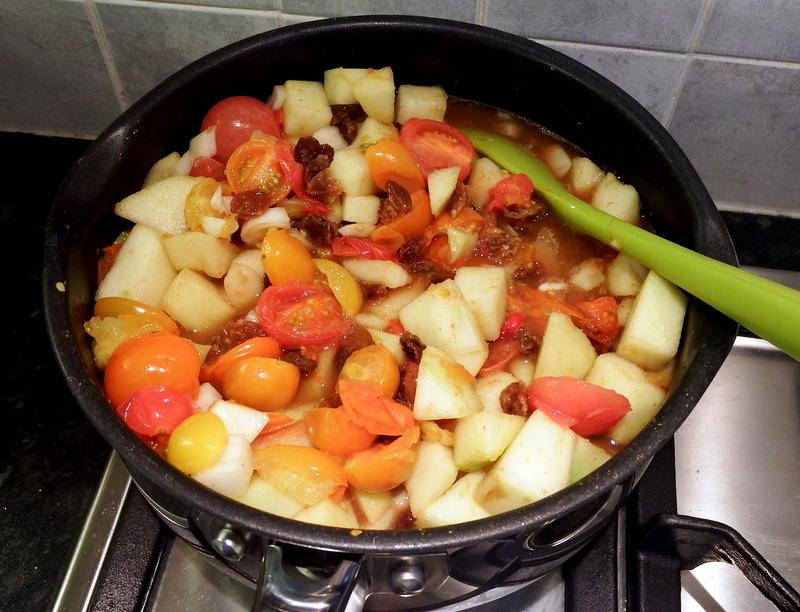 Chop the tomatoes in half and the apples into similar sized pieces. Remove the stems from the chillies and cut into quarters. Put all the ingredients in a large pan and cook for around 2hrs over a medium heat, stirring often. When the mixture looks like a chutney consistency, ladle into sterilised jars and seal. You can open the jar right away but I prefer to leave it to mature for a month or two before opening. Did you get a glut of anything this year? 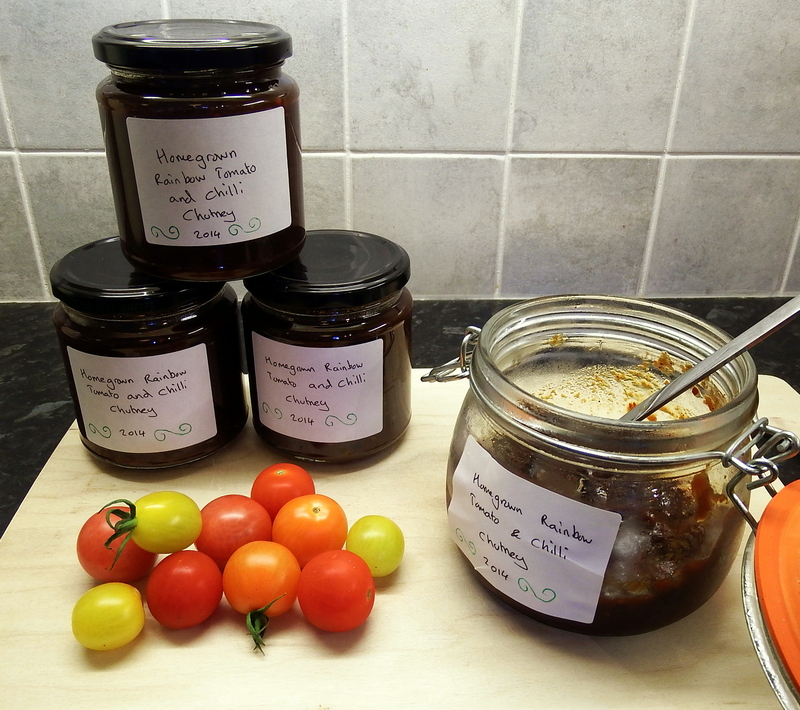 Have you been making jams or chutneys? Wow, I had no idea chutney was so easy to make! Sounds yummy! Oh wow thanks for the rescipe my garden is long gone this year but I can save it for next year. Muy rica su receta. Sus tomates de colores lindos. Muy buen a idea para realizar esta rica salsa. Gracias.